Property Location With a stay at Brook Falls Farm in Newton, you&apos;ll be on a river and within the region of Pocono Environmental Education Center and Bushkill Falls. 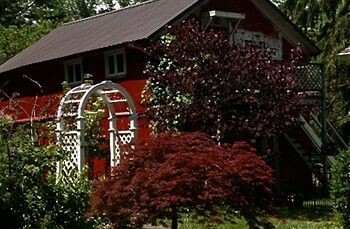 This bed & breakfast is within the region of Forest Lakes Beach and Pocono Indian Museum.Rooms Make yourself at home in one of the air-conditioned rooms featuring refrigerators. Complimentary wireless Internet access is available to keep you connected. Bathrooms have hair dryers and hair dryers. Conveniences include coffee/tea makers and irons/ironing boards.Rec, Spa, Premium Amenities Enjoy recreation amenities such as a spa tub or take in the view from a garden. Additional features include complimentary wireless Internet access, wedding services, and barbecue grills.Dining A complimentary continental breakfast is included.